From what I understand, UK unis do not accept any extra materials regarding your application. Stick to what is required, but make sure you do it well! The most important thing to show in your PS is your passion for the course that you have chosen. Hence write about how you first came to consider taking up that course, and any work attachments you have undertaken to further explore what interests you in your subject. I advise applicants to start writing their PS early on, as you will likely find that you have to make many corrections to your first draft. Don’t overthink the words that you put in, you’re writing to be accepted into uni after all; this isn’t an English test! Simple and straight to the point is good. Having a clear mind on what I wanted to do helped a lot, as admission tutors are experts at sniffing out applicants who do not really have a passion for the course. I wrote about my volunteer work at Hospis Malaysia (I was applying for medicine), and what I learnt from working there. Hospital attachments too. Did you have to take any tests? I had to take the BMAT to qualify for admission into medicine at Cambridge. I also took the UKCAT as a hedge. I highly recommend that you do not start preparations too early for the BMAT, about 3-4 weeks before the test date is good. If there is one tip that I may give you, it is that time management is of the essence! This goes for both admission tests. Other than that, complete all the past years available for BMAT, and make sure you familiarise yourself with the online calculator for the UKCAT. How was the interview session? I only attended one interview (Cambridge), and I must say, it was an unashamedly academically focused one. The questions aren’t as bad as everyone make them out to be, but you do have to give a considered, thoughtful analysis of the answers you provide your interviewer. Don’t be too caught up wondering whether your answers are wrong or right, as your interviewer’s main motive is to see your thought process and how you arrive at your answers. Try to treat it like an intellectual discussion with your interviewer. What advice would you give to future medicine applicants? Applications might just be the most stressful part of college life! Never doubt your ability to get an offer from a top uni. These unis are going to have to hand out offers to prospective students either way, and it might as well be you! 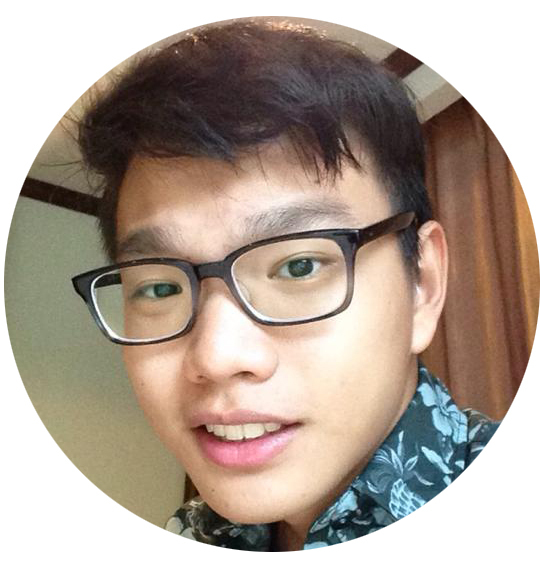 Teh Kuok Ren is a fun-loving student who will be pursuing his medicine degree in Cambridge University under the Pama *joking* scholarship. When not diligently studying, you will find him shooting pool, at the driving range, or just on his bed taking a nap.